You may remember that back around Labour Day there were some ridiculously cheap flights to Los Cabos, Mexico. 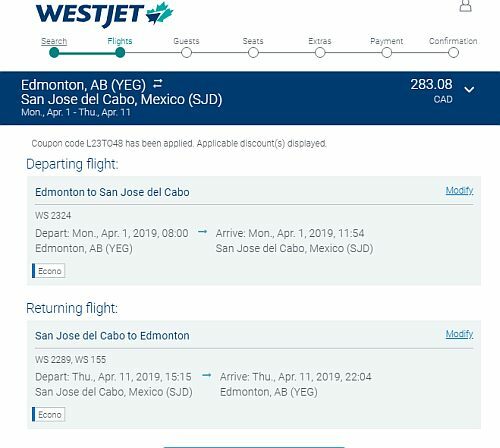 September 3 to 10 from Edmonton to Los Cabos, Mexico (SJD) has dropped to $208 roundtrip after taxes. The next cheapest flights are around $580 so it's a true 65% discount. Good deal for one person - Edmonton to Cabo - $197 roundtrip, with no tax? Ok, this is strange, but there is a flight from Edmonton to Los Cabos, Mexico showing up as $197 roundtrip, with $0.00 tax. 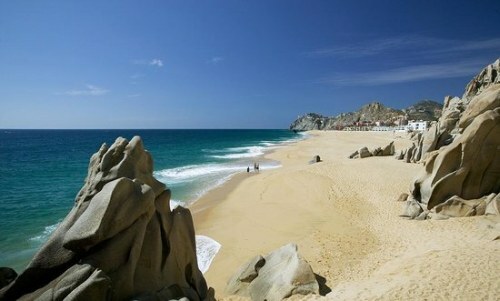 The Temptation Resort in Cabo just dropped the price of their November 15 departure down to $705/person after tax. Update 11/10 - The Cabo flight just dropped further, to $355. UPDATE 10/28 : This flight just fell a bit further to $365 roundtrip after tax. You need to get past the first page of the booking screen to see the price drop.